Dr. Buitrago is board certified in foot surgery by the American Board of Podiatric Surgery. 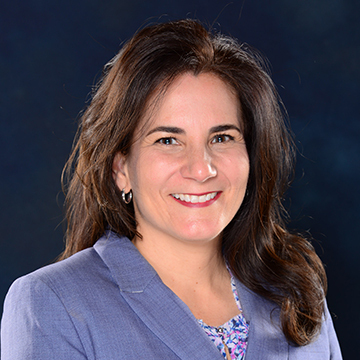 Dr. Buitrago received her Bachelor of Science degree from the University of Central Florida in Orlando, Florida and her Master of Science degree from Barry University in Miami, Florida where she also received her Doctor of Podiatric Medicine. While at Barry she was on the Dean’s list and was a recipient of the Dean’s Merit Scholarship for Academic Excellence. In addition, Dr. Buitrago completed a three-year foot and ankle residency program at the Houston Podiatric Foundation in Houston, Texas. She has also completed training in microvascular surgery at The Microsurgical Training Center, Plastic Surgery Service at Christus St. Joseph Hospital in Houston, Texas, and has received special training in the endoscopic plantar fasciotomy, the endoscopic decompression of intermetatarsal nerve and diabetic nerve decompression. She is very active in the community and state. She currently serves on the Board of Directors for the Texas Podiatric Medical Association representing Houston and is the chair of the Public Relations Committee and sits on the Continuing Medical Education (CME) committee. She also serves on the Board of Directors and for the Association of Extremity Nerve Surgeons and the Texas Podiatric Medical Foundation where she participates in medical missions every year. She volunteers locally at the San Jose Clinic and Healthcare for the Homeless Shelter in downtown Houston. She served as president for the Harris County Podiatric Medical Society in 2006-07 and was secretary from 2009-2012. She is podiatry captain for the Houston Marathon and volunteers every year. She has been featured locally on Debra Duncan morning show and nationally on Primer Impacto on Univision. She enjoys running marathons.